Meet our Steel Mag Chapter Lead Lindsey Schiro at 3rd SFG (A) at Ft. Bragg, NC. Lindsey originally hails from a small town outside of Boston and is an avid football fan. She attended Colby-Sawyer College in New Hampshire and then moved back to Boston where she worked in Pediatrics for two years. She is currently studying to be a Lactation Counselor in any downtime she can find. She met her Green Beret husband, Matthew, while living in North Carolina and they have three small children, Mallory who is four, and Benson who is two and their newest addition, Charlie. On her husbands third deployment in two years, he was injured in Afghanistan in 2014. She felt there was little support for the wives at 7th Group, specifically those of injured Green Berets and set out to change that. She contacted the Green Beret Foundation after hearing of the Steel Magnolias through research and was instrumental in starting the Chapter for 7th Group. 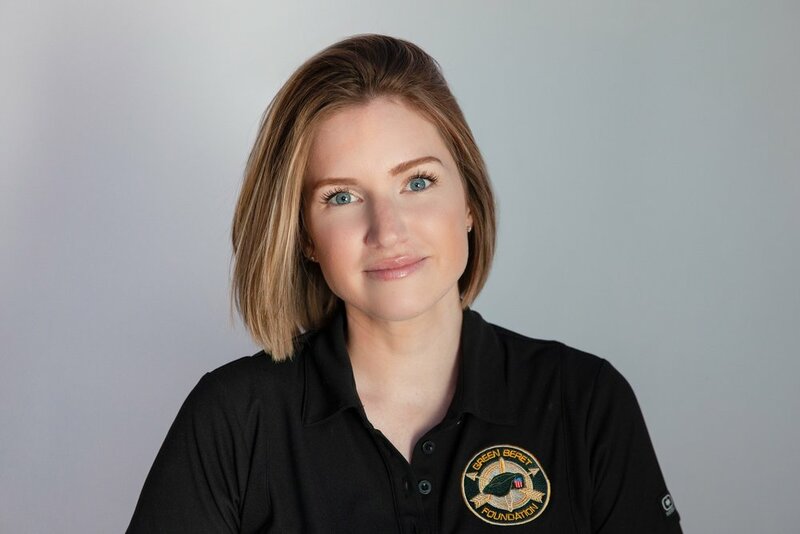 Now that her husband is at SWSC, she is very excited to bring her leadership and fundraising skills to our Bragg Mags Chapter for the GBF and giving the women of Green Berets the support they so knowingly deserve. Fun tidbits on this dynamic go-getter is that she is a former ballerina and loves to dance and play golf. We are so happy to have back in leadership now at our Bragg Mags.